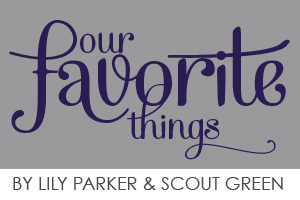 Lily’s and Scout’s Favorite Things! Hi, everyone! We’re Lily and Scout, the heroines of CHARMFALL, the third book in Chloe Neill’s The Dark Elite series. We have lots of opinions–especially about magic–but also about what is and is not cool. We’ve included a few of our favorite things below. Be sure to also check out CHARMFALL, which hits shelves on January 3, 2012. Thanks! Hi, everybody. This is Lily. I love to draw, and not just because my studio teacher is tall, blond and magically inclined. Drawing let’s me pretend to be in another world where I don’t have to worry about monsters and magic and mayhem. And the supplies are fun, too. Here are a few of my favorites! 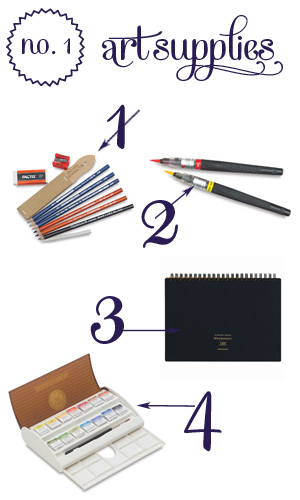 1 – Drawing Set. 2 – Pentel Brush Pens. 3 – Mnemosyne Notebook. 4- Watercolor Pan Set. So, we’ve all got stuff, right? Hair stuff. Pens. Pencils. Gloss. Change. Gum. Whatever. You need a bag to haul all that stuff around in. But you might as well look sweet while you do it, and make a statement about exactly who you are. Personally, we prefer color and uniqueness, and lots of little zippers and pockets are also handy. You never know when you’re going to need to whip out the ingredients for a spell. 1 – Frankenstein Tote. 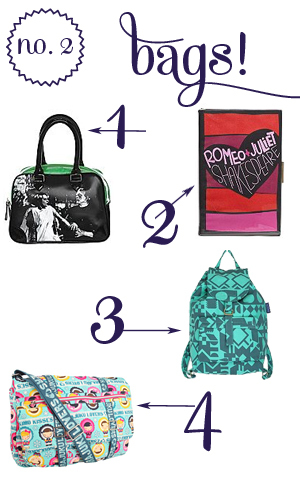 2 – Romeo & Juliet Clutch. 3 – Baggu Backpack. 4- Harajuku Messenger Bag. 1 – Starbucks. 2 – Not a Paper Cup. 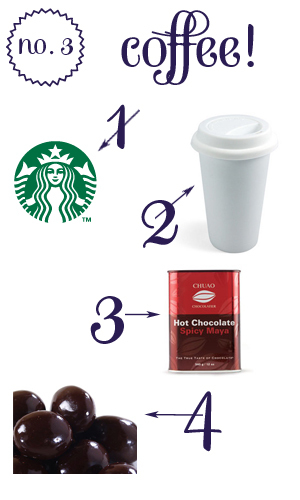 3 – Spicy Hot Chocolate. 4- Chocolate Covered Espresso Beans. Hi, everybody. This is Scout. As you might already know, I collect stuff. Lots of stuff. Little apples. Little owls. Little paper houses. It’s not really about the thing itself, but the fact that I love little things all grouped happily together. There’s just something comforting about it. (I also really like the shopping hunt for that stuff, but that’s a different list!) Here are a few of my favorite collectors and collections out there! 1 – Chicago Field Museum. 2 – Bottle Caps. 3 –Pinterest. 4- Lisa Congdon. Hi, there! It’s Lily. Like I’ve mentioned before, I love to draw. I also really like learning about painters and other artists from the past. It’s interesting to think about how art has changed over time, from simple sketches to marble busts to crazy modern art that seems to be mostly dead stuff in tanks (but maybe I’m wrong)? 1 – Michaelangelo Buonarotti. 2 – J.W. 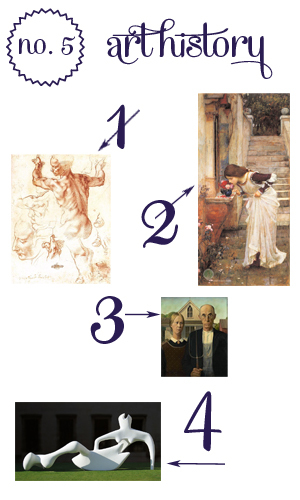 Waterhouse. 3 – Grant Wood. 4- Henry Moore. It’s Scout again! Although I don’t get to get out (and aboveground!) as much as I’d like, take it from me that Chicago has a ton to offer. From great food, like authentic hot chocolate and churros, to paintings at the Art Institute, to the Chicago River and the ferris wheel, I really love this town. Which is the only reason I’m willing to spend all those nights roaming the tunnels in search of monsters. 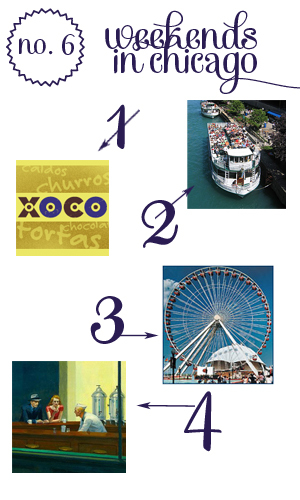 1 – Xoco for Churros!. 2 –Architecture Foundation Cruise. 3 – Navy Pier Ferris Wheel. 4- Chicago Art Institute. There’s no way around it. We love shoes. When you have to wear a uniform each and every day, you express yourself with your shoes. That’s why we love them! Seriously, look at these shoes. The boots have plaid AND fur, and the flats have spikes on them. What centuries-old vampire is going to harass you when you’re wearing those bad girls? Not a one, that’s who. So mind your feet. 1 – Boots. 2 – Flats. 3 – Heels. 4- Booties. Hi! It’s Scout, your craftmistress of all spells wild and wonderful, all spells great and small. 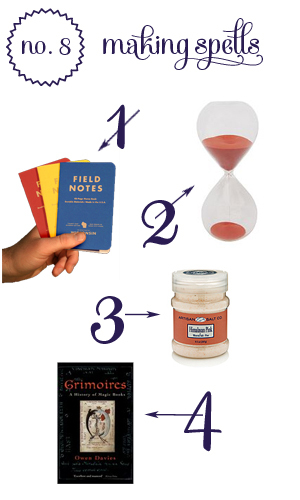 There are a few items I like to have on hand in the event of any last minute spellmaking emergencies. They seem to make a pretty happy balance and a pretty successful go of it. Unless there are slime monsters. I haven’t really had much luck against slime monsters. Just ask Garcia. 1 – Field Notes notebooks. 2 – Hourglass. 3 – Pink salt. 4- Grimoires book. 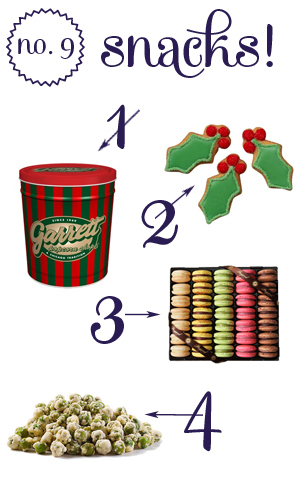 1 – Garrett Popcorn. 2 – Eleni’s New York. 3 – French Macarons. 4- Wasabi Peas. The interwebs have saved us from many a long night in study hall, and between classes, and at lunch, and before bed, and . . . well, you get the picture. We love to roam the web and see what’s out there in the world. There’s just so much to see! These are a few of our favorite sites; we visit them often. 1 – Boing Boing. 2 – Lolcats! 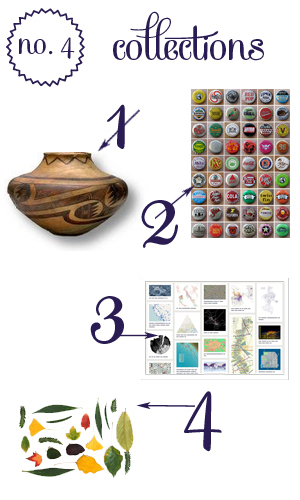 3 – XKCD. 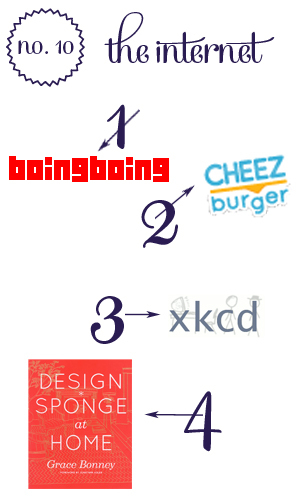 4- Design*Sponge.